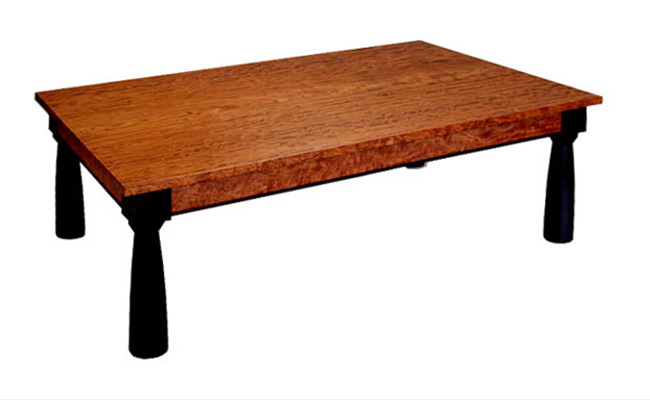 The top of this coffee table is made form a single bubinga board, 32" wide. Bubinga is sometimes available in widths up to 50" and you can see other examples of wide bubinga boards, both plain and fancy in items #204 and #158 in the dining table section. The legs and apron bead are painted black. Price is approximate depending on the price of the individual slab I have to buy. The wood can run from $18-$25 per board foot plus shipping.